Our Hardanger fiddle is a simplified version of a traditional Hardanger, made with a violin scroll and without ornamentation. 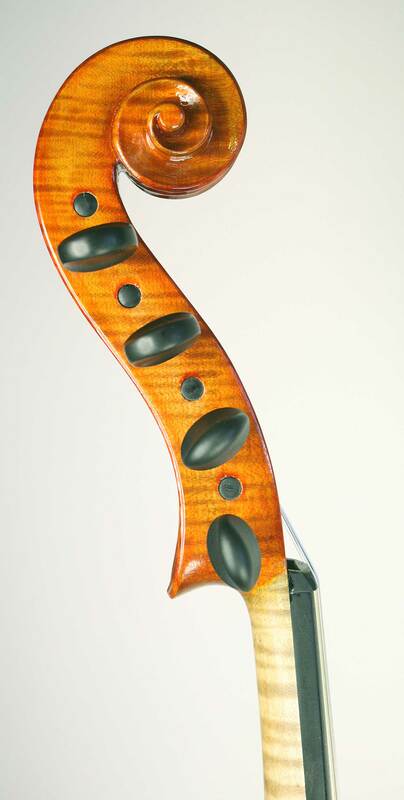 The body is copied directly from an award-winning instrument by Sveinung Gyovland. This historic instrument had excellent tone and sustain, so we followed the outline, arching and thicknesses faithfully. The result is an affordable Hardanger with a completely authentic sound. 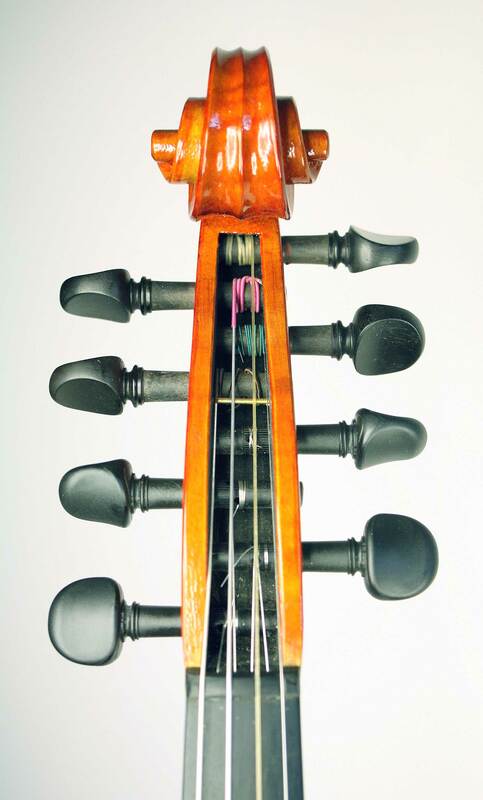 Our Hardanger has 4 sympathetic strings, tune-able with ease thanks to the incorporation of Wittner geared pegs. 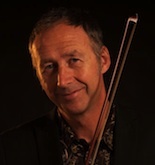 Principal strings are traditional gut (normally tuned CGCE). 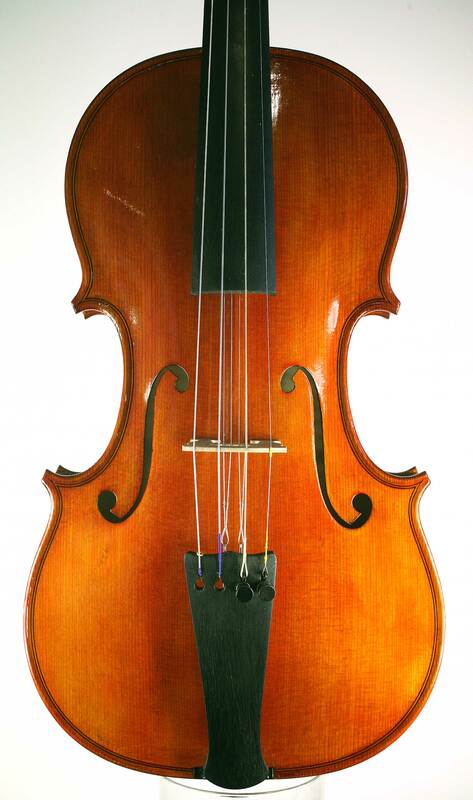 We generally have one of these instruments in stock – we’re also happy to make them to order with 5 sympathetic strings, dragon’s head scrolls, and/or traditional inlaid tailpieces and fingerboards. 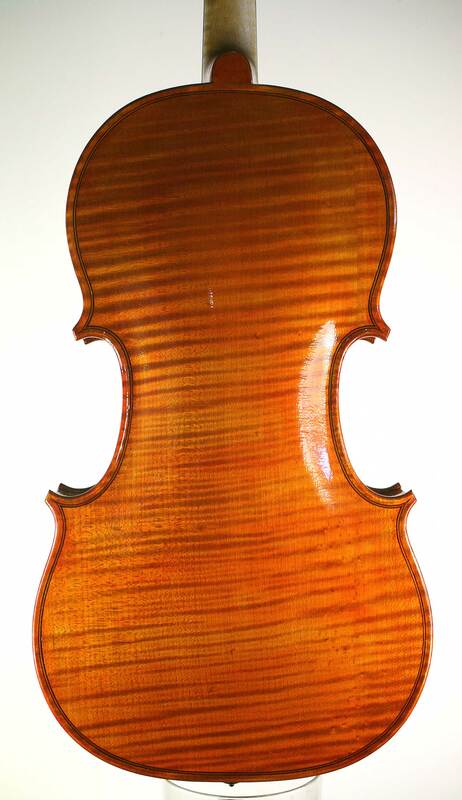 Interested in this Hardanger fiddle?